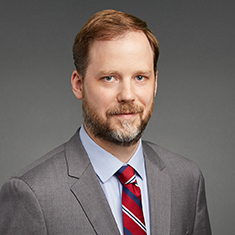 Paul T. Musser concentrates his practice in the areas of insolvency, corporate restructuring, bankruptcy and loan workouts. He regularly represents financial institutions and secured lenders as well as unsecured creditors, landlords, purchasers, receivers, trustees and debtors in bankruptcies, receivership and fraudulent transfer actions, commercial foreclosures, Uniform Commercial Code (UCC) sales, and out-of-court workouts and restructurings. Paul's experience spans several industries, including health care, retail, real estate, financial services, franchising and energy. Paul has authored several articles for various publications addressing such issues as new-value Chapter 11 bankruptcy plans, litigation involving assets acquired under Federal Deposit Insurance Corporation (FDIC) purchase and assumption transactions, and defenses to preference litigation involving payments of assumed liabilities in asset purchase agreements. During law school, Paul served as note editor for the Indiana Law Review and was a member of the Order of the Barristers. He also was an extern law clerk to the Honorable David F. Hamilton in the US District Court for the Southern District of Indiana.